2/18/2019: Amy grew up in a crucible filled with violence, cynicism, and despair. 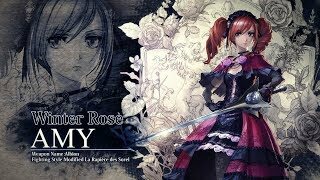 But as fate would have it, a chance encounter with Raphael would change her life forever and set her on a path to become a great sword-wielding warrior in her own right. 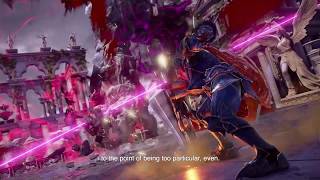 10/29/2018: 2B wields two swords, Virtuous Contract and Virtuous Treaty, and both have been carefully tuned for maximum efficiency in the hands of a YoRHa android. 10/19/2018: Welcome back to the Stage of History. 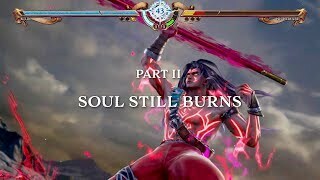 10/17/2018: Soul Still Burns, a look at the SoulCalibur community. 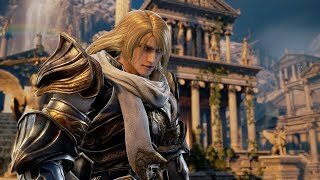 10/8/2018: The Rise of SoulCalibur, a look back at the origins of the franchise. 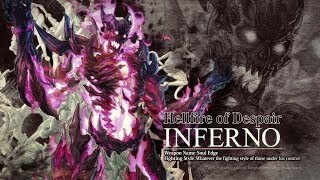 10/4/2018: As the evil spirit of Soul Edge, Inferno is fearsome, possessing deep knowledge of fighting techniques which he mimics with uncanny skill, allowing him to use any weapon and fighting style with a phenomenal degree of expertise. 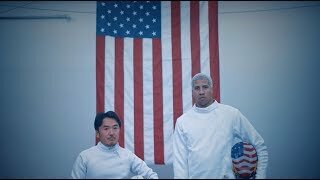 9/25/2018: SoulCalibur VI Producer, Motohiro Okubo, sets out to meet world renowned fencer and Team USA Olympic Bronze Medalist, Miles Chamley-Watson, to explore the physical and digital sword fighting worlds together. 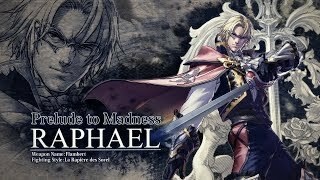 9/18/2018: As a master of the rapier, Raphael's fighting style is that of a fencer, delivering deadly blow to opponents through powerful thrusts and slashes. 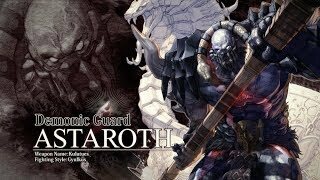 8/6/2018: Astaroth, created by a cult who worshipped the Greek god Ares to locate Soul Edge, returns with his giant axe in-hand and a deadly attitude in tow. 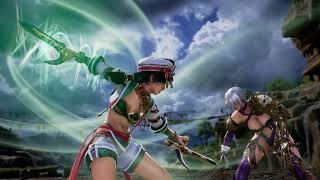 Seung Mi-na was born to battle. 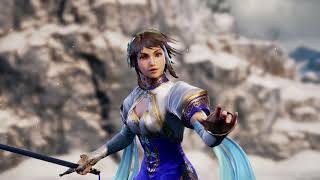 Having grown up in the famous Korean Seong Dojang headed by her father, her formative years were spent around weapons of all types, many of which she learned to use quite well or even better than her father. 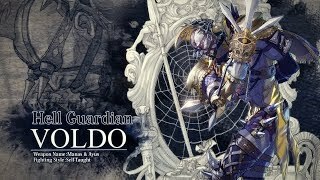 7/20/2018: Voldo's fighting style is unmatched, as he contorts his body in unnatural ways and can even attack backwards, making him unpredictable and deadly in battle. 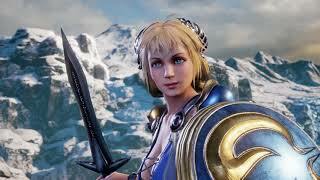 7/5/2018: The Last Priestess of the Winds will be joining the fray in SoulCalibur VI. 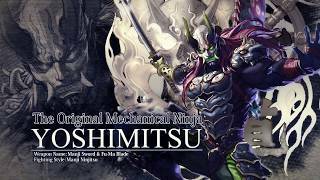 6/12/2018: Transcending history and the world, a tale of souls and swords, eternally retold. 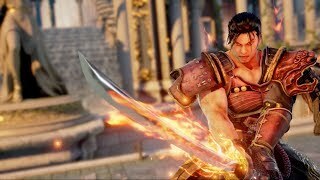 5/31/2018: With Maxi's fluid, powerful, and deadly fighting style, you'll have another weapon to wield as you return to the stage of history. 5/18/2018: A preview of the Manji Ninjitsu practitioner's unconventional fighting style. 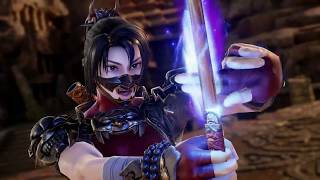 5/2/2018: Taki is a true dealer of pain and destruction, able to take on all challengers in any arena of battle. 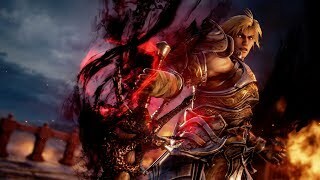 4/12/2018: When Siegfried steps onto the stage of history wielding the massive Zweihander he has but one reason to fight - to fully free himself from the cursed sword's grasp. 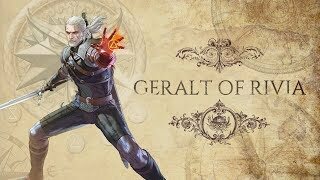 3/28/2018: Find out more about what it took to bring The Witcher to SoulCalibur VI. 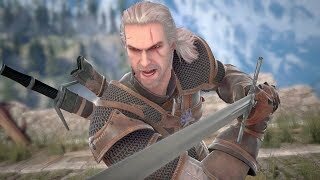 3/15/2018: The Legendary White Wolf will be joining the fight. 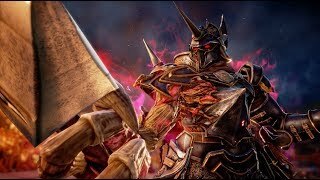 3/2/2018: Learn more about the Soul Edge wielding fan favorite, Nightmare. 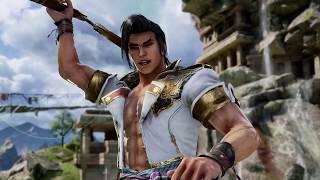 1/26/2018: Introducing Kilik, Nightmare, Xianghua, and Groh. 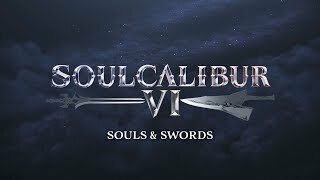 12/11/2017: Perhaps it was fate ... a tale of souls and swords. 12/7/2017: Welcome back to The Stage of History.